Today I am over at one of my favorite blogs, The Book Smugglers, talking about some of my favorite books of 2011, which I was lucky enough to have a HORRIBLE time narrowing down this year. Since I talked about 8 books with 3 honorable mentions narrowed down from 5 I’d been considering, I’m still not sure which other 2 books are going to end up on my top 10 list I’ll put up here! 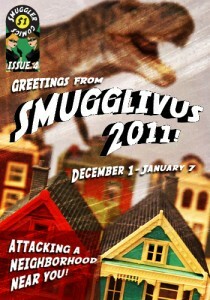 While you’re over there, I recommend checking out some of the other posts for Smugglivus, which includes a lot of bloggers and authors. 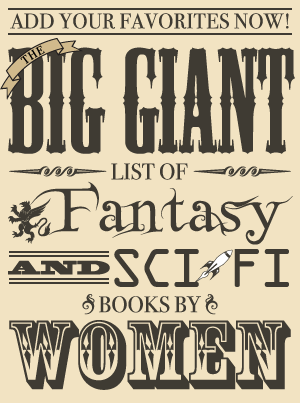 I was particularly thrilled to see posts by Martha Wells, Kate Elliott, and N. K. Jemisin this year. And definitely check out some reviews as well if you haven’t already – Ana and Thea write in-depth, very helpful reviews for a LOT of books!